Masonite HD steel offers superior strength combined with the elegance of decorative glass in the Providence Camber Fan Lite Steel Entry Door. The glass design enhances both the appearance and value of your home without compromising security or privacy. Durable high-definition panels offer excellent shadow lines for added architectural interest. Ready to customize and paint, the baked-on primer helps create a durable, smooth finish. Masonite HD steel offers superior strength combined with the elegance of decorative glass in the Chatham Camber Top 1/2 Lite Steel Entry Door. The glass design enhances both the appearance and value of your home without compromising security or privacy. Durable high-definition panels offer excellent shadow lines for added architectural interest. Ready to customize and paint, the baked-on primer helps create a durable, smooth finish. Masonite HD steel offers superior strength combined with the simplicity of the decorative glass in this elegant center arch prehung entry door. The glass design enhances both the appearance and value of your home without compromising security or privacy. Durable high-definition panels offer excellent shadow lines for added architectural interest. 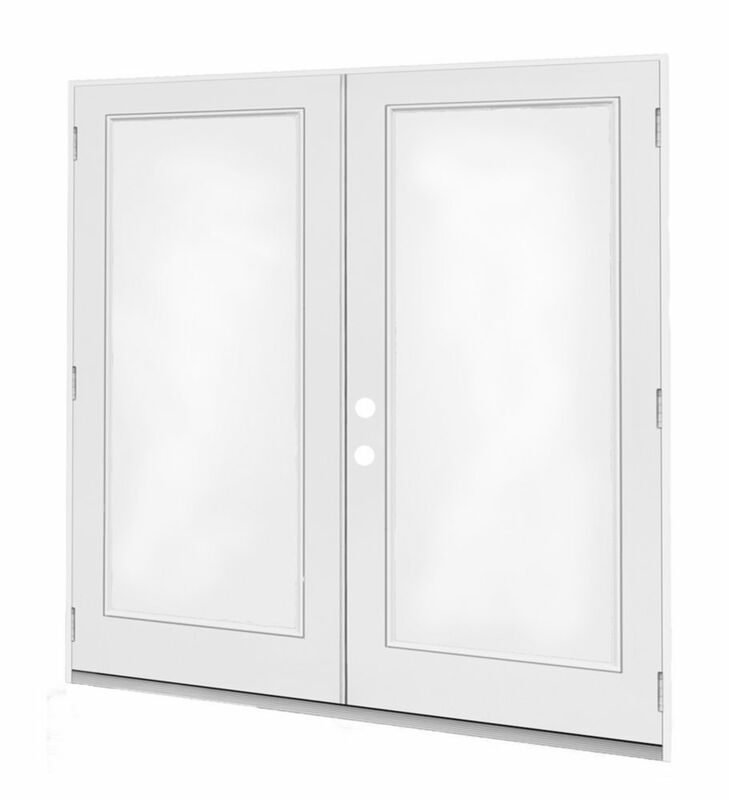 The entry system features a primed, ready-to-paint 4-9/16" door frame. 5 ft. French Door, 1 Lite Door Glass, LowE Argon, RH, Outswing, 4 9/16 inch Jamb, West - ENERGY STAR® The essential link between your indoor and outdoor living spaces, patio doors are the primary access points used by guests and inhabitants of the home to reach their decks, balconies, porches, and backyards.